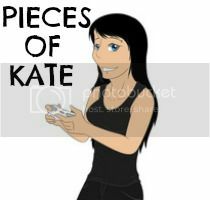 Pieces Of Kate: Funky Cushion Review & Giveaway! As I've gradually got older, I've taken more of an interest in home furnishings and interiors and getting a really good idea of how I want my future home to look like. I've taken into account everything from the colour of the rooms, to the style of furniture in the living room and it's something I'm taking immense pleasure in. 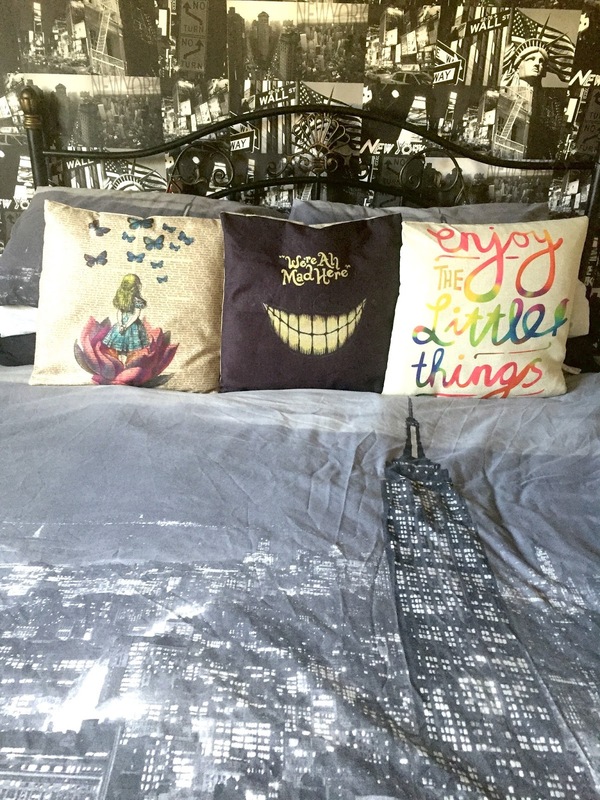 Of course we all know that it's the finishing touches that really finish off the overall look and cushions are the perfect way to add a little more personality into your home. I came across the brand Funky Cushion when I was looking for interior brands on Twitter to get some inspiration. 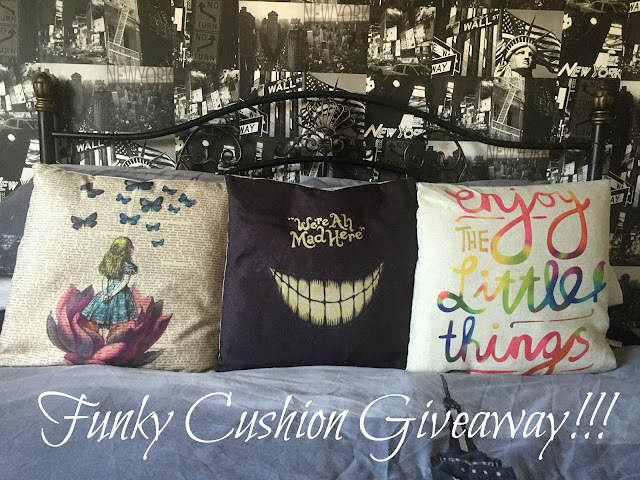 I had a look at their website and adored all the quirky designs they had on offer and the amazing prices they were.They were kind enough to ask me if I would like to chose a cushion from the range to review and to also host a giveaway (more on that later). The one that really caught my eye was this one with the most fantastic rainbow/ombre lettering. I desperately needed a cushion for the chair in my office and this one worked perfectly with my colour scheme. The cover itself is sent without a cushion which was fine with me as I had loads of spare throw cushions that needed new covers. The quality of the fabric is fantastic. It's not flimsy like some covers are that tend to be made with quite thin and delicate fabric. This is more of a woven type fabric that will most definitely withstand the test of time. 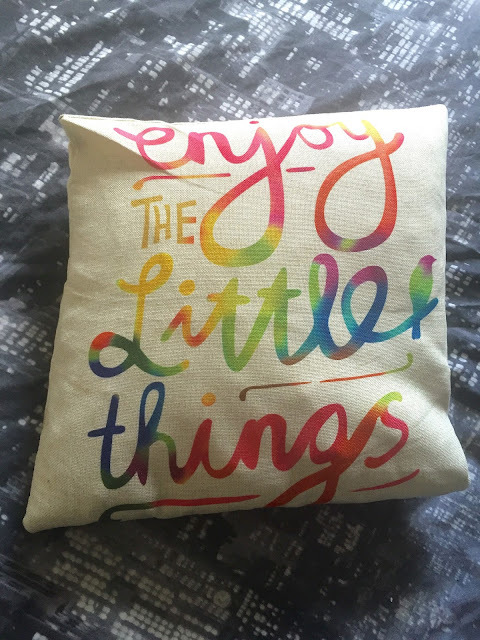 The lettering is beautifully done and is printed onto the fabric really professionally. Quite unexpectedly whilst talking to the lovely people at Funky Cushion, they noticed that I was obsessed with Alice in Wonderland and asked my opinion on a couple of designs they had previously done before. Naturally I fell in love with them instantly and they ever so kindly said they would re-print them just for me so I infact got three covers! I happily paid £12 for both of them as it was an extra but I felt really privileged and flattered that they not only took the time to look at my interests, but to also print a design that they don't currently offer on the website. As you can see, the two Alice in Wonderland cushions are simply stunning. 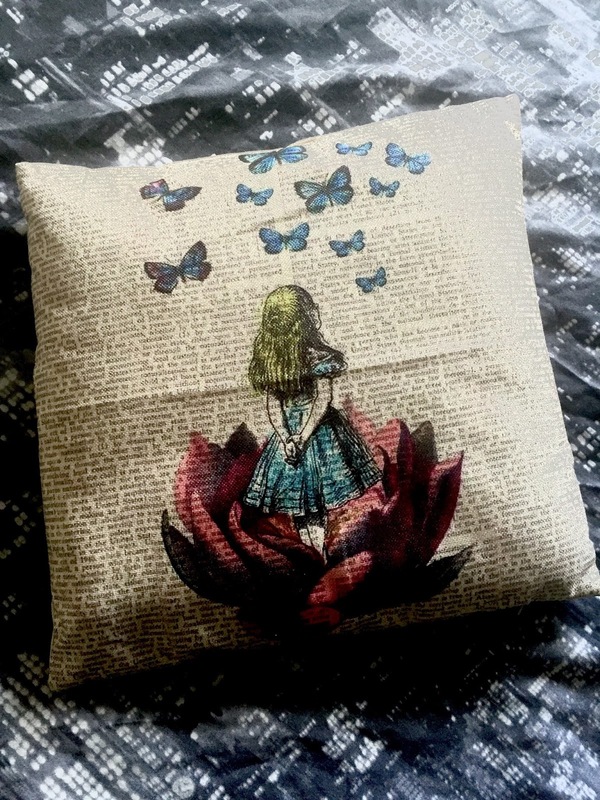 The first is an original Alice print with an extract from the book as the background and the classic image of Alice in the foreground. The second speaks for itself. Again they are both made from the beautiful woven fabric and the print is colour rich and vibrant. A massive thank you to the guys from Funky Cushion for sending me the covers, they're incredible and work so well in my home. Now for something really exciting. 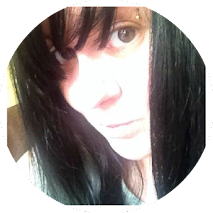 They have kindly offered the opportunity for one of my readers to win a cushion cover of their choice! Simply enter below! The giveaway will end on the 14th of May 2016. Good Luck! 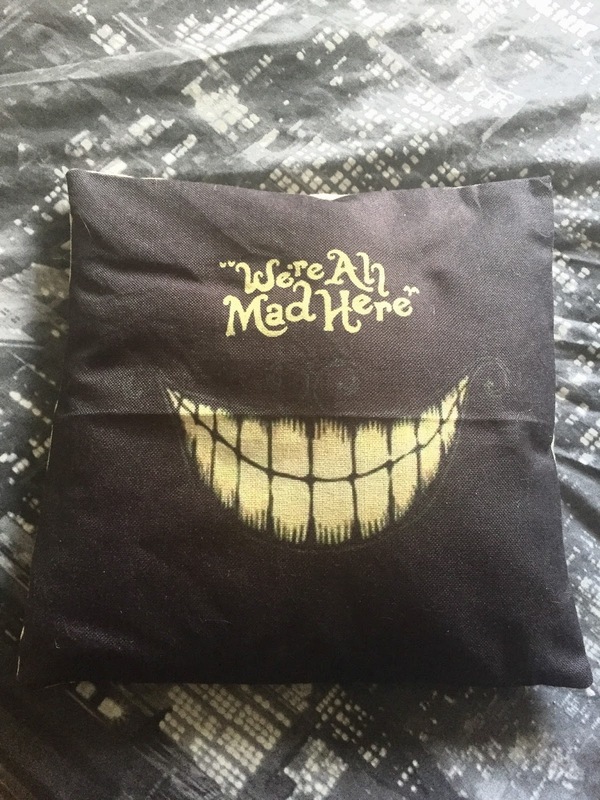 the Alice in Wonderland cushions do look brilliant. Watching movies on solarmovie tv shows is most likely another best thing on the net and internet sites that supply one with the most recent links to web-based movies and television shows is getting to be a huge hit. Sport Clubs Your Kid Should Join! Should You Get Your Child Into Sports? What's Going To Happen When You Die?